Probably no protocol has been analysed as much as the various versions of the IEEE 802.11 Distributed Coordination Function (DCF). 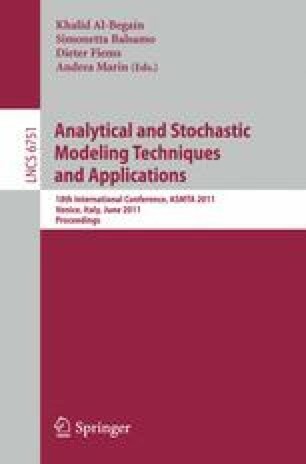 In this paper, we show how to describe a typical DCF analytic model as a semi-Markov process (SMP) by taking a new approach to performance modelling, called Traffic-Centric Modelling (TCM). TCM is therefore explained at the hand of an example IEEE 802.11 network in Basic Access mode under both saturated and unsaturated traffic conditions. We show how to solve the corresponding SMP by executing DCF activity over the SMP structure, making the proposed solution a hybrid analytical-simulation method. The accuracy of the technique is illustrated by comparing the results with that from the analytic model that is most frequently cited in the research literature.